Nicola Machiavelli wrote those immortal words in ‘The Prince’ some 500 years ago, and his wisdom rings as true today as it did then. 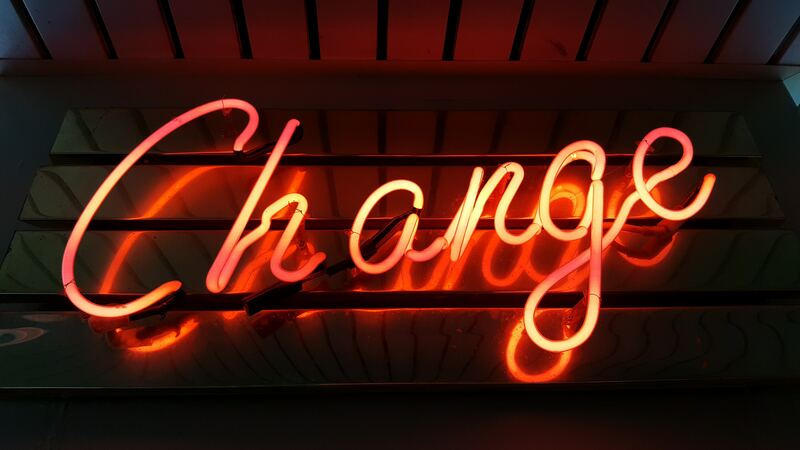 Change is enormously difficult, and whilst there has been considerable discussion about the challenges for organisations, there are also numerous barriers on an individual level. For instance, a Wharton study  a few years ago found that people tended to perceive innovators as having less leadership ability than their less imaginative peers. The study found this was particularly so in difficult economic times, when people valued leaders that provided security and stability rather than the uncertainty inherent with the pursuit of innovation-led growth. A second study  found that not only do we regard innovators as having less leadership potential, we also tend to frown upon the very idea of innovation (much as Machiavelli suggested all those years ago). They found that new things can make us feel uncertain, and this uncertainty makes us feel uncomfortable, which of course makes us wary even of the word innovation. As a result, people often reject new and potentially innovative ideas in favour of ideas that are purely practical and have been tried before. Familiarity is preferred to creativity. Sadly, no amount of objective evidence seems to change this mindset, and the bias is often so subtle that most of us aren’t aware that we even have it, and as we know, if you don’t know something exists you can’t set about changing it. There are numerous small, seemingly insignificant encounters during our working day that help to contribute to such beliefs, and collectively they form the culture of an organisation. They help to underpin the resistance to change that is so widespread. Those micro-rejections of any new and creative thoughts form a sort of social pain or ‘social risk’ as I’ve come to call it. Dr David Rock , the founder of neuroleadership has done some great work in identifying and describing responses to social pain. His SCARF acronym is one with which all change leaders should be familiar. Standing for Status, Certainty, Autonomy, Relatedness and Fairness, the acronym summarises the types of social interactions which trigger the ‘move away’ response unless they are factored in to the change equation. Anticipating the SCARF response is fundamental therefore whenever you introduce change to the organisation, but it’s also important to take account of cynicism in the workplace. Research has found that when employees believe their employer lacks integrity, they lack sufficient faith in the organisation (or more likely its leaders) to behave appropriately during times as change. As we identified earlier, change can be distinctly unsettling, so it’s crucial that people believe that leaders will act in the right way during such a period in order for employees to get on board with it. Key factors include the overall level of trust exhibited in the leadership team as well as the history and frequency of previous change initiatives. In other words, people tap into the organisational memory, so if there is a litany of failed attempts at change, then trust in the leadership team will be low. It’s something that sadly I see all too often when working with large organisations. It’s akin to the parable of the boy who cried wolf, but its modern incarnation sees organisations repeatedly launch innovation initiatives that fail to materialise, and it develops a cynicism among employees. It underlines the importance of ensuring the culture and skills are in place, that the work is closely aligned with the strategy of the organisation and all of the pieces of the jigsaw are present to ensure things do work, and work first time. In a recent thought piece, I examined some of the most innovative companies in the world, and the one thing that really stands out among them all is that innovation isn’t something they do as a side project, or one-off activity. Rather, it’s something that is done each and every day. I used Amazon as an example that typifies such an approach, with the company continuously experimenting and tinkering so that they have data driven improvement as a fundamental part of their DNA. The culture isn’t one opposed to new ideas, but rather one whereby experimentation is encouraged and data drives decisions. It’s no use confining innovation to the top tier or a specific department and expecting others to follow suit; your innovation strategy has to allow for organisation-wide coverage. This is where ‘i-agents’ come into their own, a topic which is covered extensively in my latest book ‘Building a Culture of Innovation’  and which I most recently explored with my co-author Derek Bishop in an article for Innovation Management . Quite simply, i-agents are your agents for innovation-focused change; working at every level across the organisation to demonstrate the benefits of good innovation practices. They may or may not be formal leaders but they will be natural leaders, people who have ‘influence’ and whom others trust and follow. However, their efforts will be wasted unless your leadership team have not only created the conditions for change but also taken steps to anticipate and overcome resistance. As I identified at the start of this piece however, this is not easy, and it’s even harder if you’re starting from a place where there is a history of failed change attempts. In such a scenario, there is no short-cut, it will take a long time to develop the kind of culture you want and it will be difficult, but if you communicate well, listen hard and ensure your words and deeds are in alignment then you have a good chance of success. So, cast aside your assumptions, go back to basics and be prepared to communicate early, communicate effectively and communicate often. Above all, keep your communications clear and consistent and back them up by living the change you want to instil. Remember, you are never going to overcome resistance until your people not only believe in you but trust that you believe in your own message, that you believe that building a demonstrable innovation capability into the heart of organisational culture is a strategic imperative and doing whatever it takes to achieve that is your leadership purpose. This article was written by Cris Beswick for The Future Shapers and previously posted on 25/01/2018.